Funding from the Dry July campaign and a grant from the Dry July Foundation ACT has ensured the continuation of the beloved therapeutic harp program at Canberra Hospital. 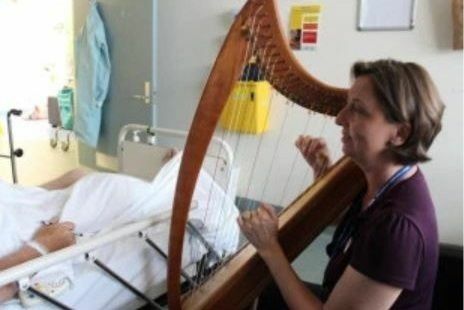 Harp therapy has been shown to help cancer patients cope with the side effects of their treatment, and can provide a sense of calm to patients who may feel distressed and anxious in a busy hospital environment. The program at The Canberra Hospital is delivered by a certified harp therapist and has been funded by Dry July since 2012. Additional funds have provided a water and ice station so patients do not have to leave their treatment area; waiting area refurbishments, a 12 month magazine and newspaper subscription and floral displays to brighten up the reception areas.